As many of us know there are many & varied preparations an experienced bushman makes prior to heading into the sticks. 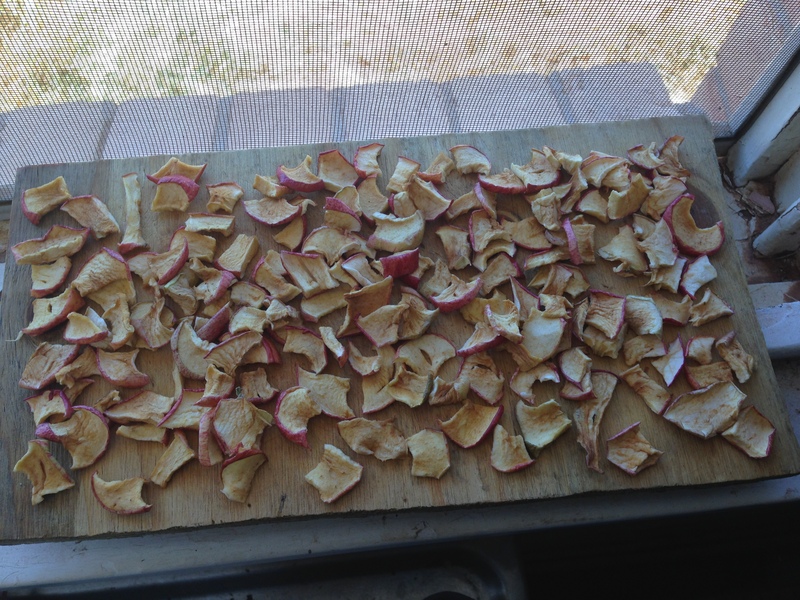 Here I am today drying apples to add to a 'hybrid' trail mix of nuts & seeds From experience small quantities like this are OK, but large scale fruit drying can yield a losing battle with ants. EDIT: Here is the fruit the next day. It has been hot and windy, so it dried quickly. This is 3 trays worth! (Apologies for the low-light shot). If you laid the fruit on a wire netting bed it might be quicker and no need to turn. 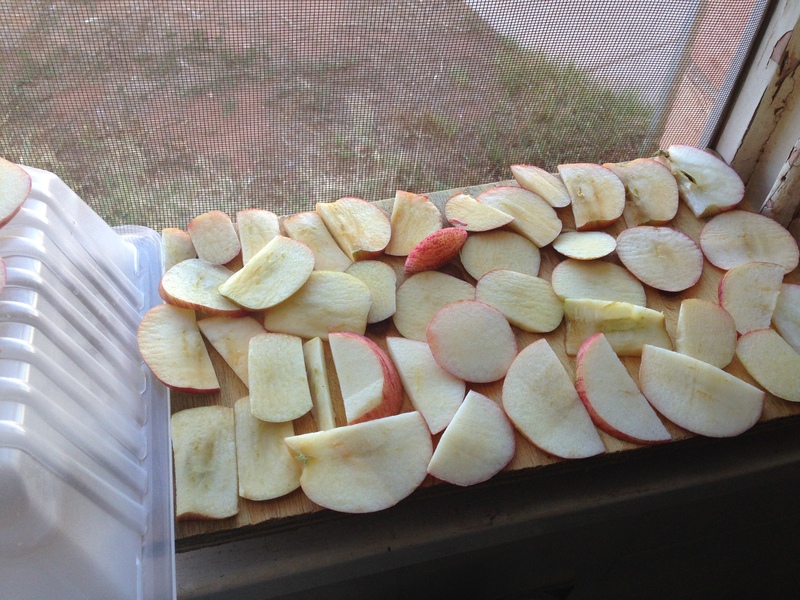 We do the same, but not just for the trail, we dry fruit & vegies as a way of preserving foods. We use our wood burning stove to dry foods. I dry pumpkin for preserving & for adding to stews on the trail. Never thought to dry pumpkin when I was growing them, it would have been handy as had so many was giving them away. One of my favourite vegetables. That is great, Keith! I never thought of drying vegetables for trail meals. Good idea. I like that old stove too. Keith, have you tried eating the dried pumpkin as it is? I could imagine it would be pretty good. What a great wood combustion stove Le loup . Had one growing up in Bathurst . That's a great setup Keith and a great idea with the veggies. Where do you get those drying racks? How do your store your larger dried veg like that pumpkin? How long will it last dired? How dry do you get it? Do you get it to a point where its still got a bit of moisture a bit rubbery like dried apple? I know you wrote to Keith & I don't have all these answers, but fruits normally dry within 48hrs, if cut properly. I cut the apple about 5mm thick. It was a mid 30's summer day when I did mine and it all dried in a day and a half. I also left the skin on mine which I'm guessing would have increased the drying time. Hard to explain how dry it should be. I did mine so it was dry, but not crisp if you know what I mean, slightly rubbery. I don't think pumpkin would be much different to apple. It seems to have worked fine and tastes sweet too. I put it in jars separated by nuts and it has continued to dry in there to some extent too. I have no idea how long it would last, maybe 6-12 months. Perhaps look on a bag at a supermarket for an 'idea', but remember the bag is fully sealed/ airtight, so you may have to halve the time. Google is also your friend.